When it comes to clean retro running sneakers, ASICS dominates the competition with ease. Over the past couple of years sneakerheads have been switching their style from bulky basketball kicks and baggy jeans, to slim fitting joggers and retro runners. Joggers took the fashion world by storm, with their tapered fit and cuffed pant legs that made it easy to show off your shoes. ASICS classic runners have taken off over the past few years with special collaborations with celebrities, design aspects for each season and a little help from Ronnie Fieg and the KITH crew. 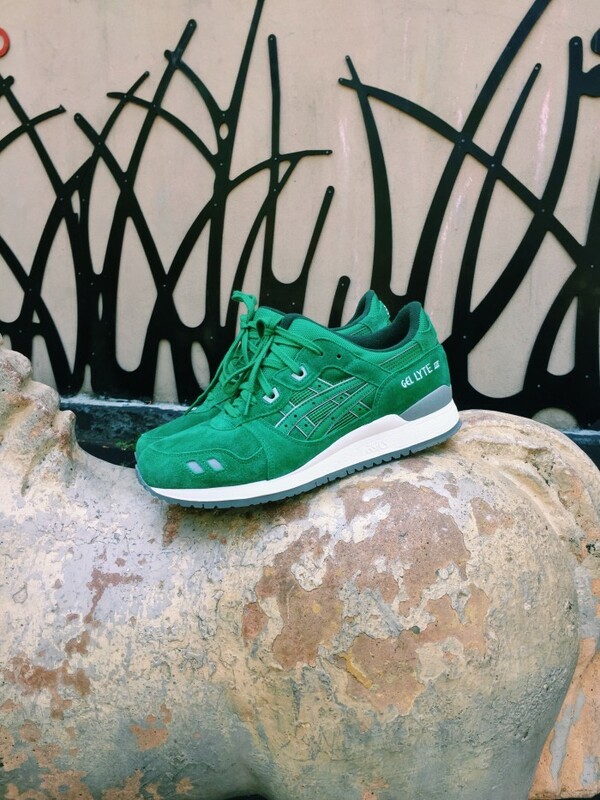 The ASICS GEL-Lyte III is one of the most popular shoes in the game right now, and is only getting more popular. With so many different colorways and material variations on this sneaker, it’s hard for sneakerheads to not find a pair they like. 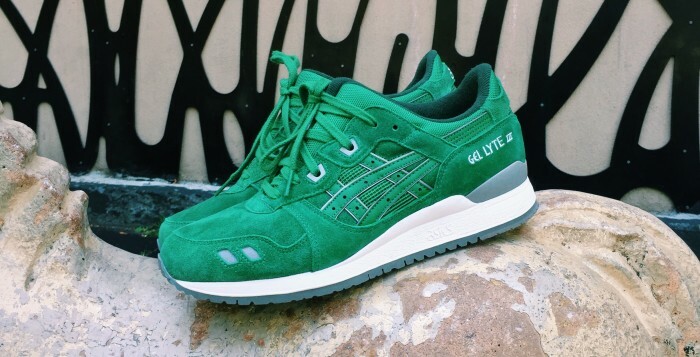 The brand recently dropped the “Puddle Pack”, which included three colorways of the GEL-Lyte III. The solid colors dominate the upper, and are accented perfectly by the grey eyelets and white midsole. The clean solid colors of green, red, and blue, are definitely some of the cleanest pairs we’ve seen all year. Which gives us hope that we can expect more dope kicks this winter. Heat up your rotation with the ASICS GEL-Lyte III; a retro runner that will never go out of style.